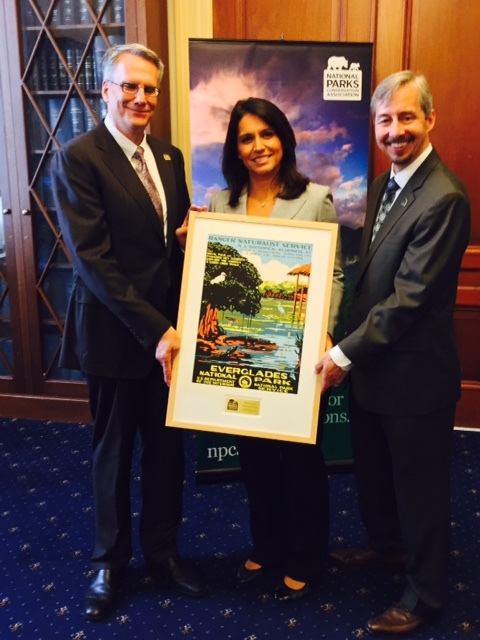 Rep. Tulsi Gabbard (HI-02) was recognized as a Friend of the National Parks by NPCA President and CEO Clark Bunting (left) and NPCA Senior Vice President of Government Affairs Craig Obey (right). Congresswoman Tulsi Gabbard was honored on Wednesday with the Friend of the National Parks Award from the National Parks Conservation Association. 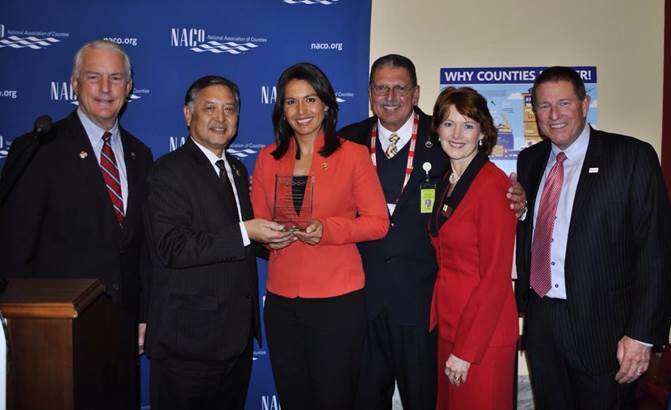 The award recognizes Gabbard’s support of national parks during the 113th Congress. Gabbard represents the 2nd Congressional District, which is home to the Hawaiʻi Volcanoes National Park on Hawaiʻi Island, the Kalaupapa National Historical Park on Molokaʻi, and Haleakalā National Park on Maui. 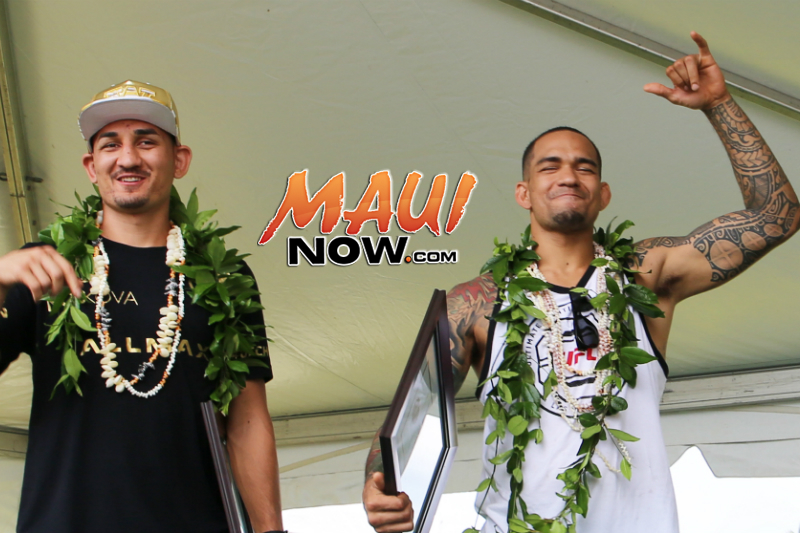 Upon receiving the award, Gabbard vowed to continue work to foster educational opportunities and promote protection of Hawaii’s unique natural beauty and cultural resources. NPCA’s Friend of the National Parks Award was established in 1999 to track and publicize congressional members’ votes on significant park issues. This year, NPCA tracked votes for three national park-related bills in the Senate and five in the House of Representatives. To receive the award, senators needed to vote in favor of national parks on at least two scored bills and representatives on at least three scored bills. The NPCA reports that Rep. Gabbard supported all five bills tracked by the organization.